A small, inconspicuous bird with a sharp, black bill, the Verdin inhabits brushy desert valleys and scrub, especially extensive scrub of mesquite bushes. 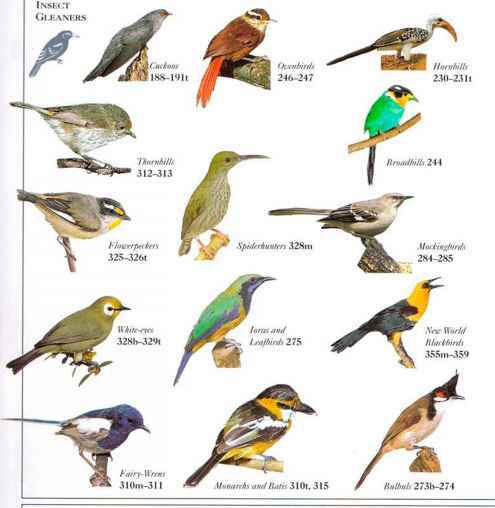 It is usually seen Hitting among the outer twigs or the undersides of leaves of a desert bush in search of insect prcv. 'The Verdin is solitary outside the breeding season. 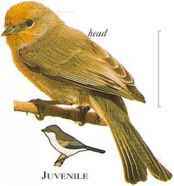 Juveniles lack the yellow head and brown wing patches. • NliST A ball-shaped nest constructed of thorny twigs with a side entrance, and placed in a bush or low in a tree. • Distribution s. iJSAand N. Mexico.